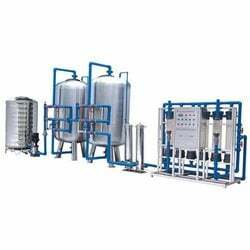 We are engaged in offering Water Filtration Plant, which is one of the advanced filtration systems widely used for commercial and industrial purposes. It is used for removing unwanted substance from water. We also have a variety of filtration plant, which includes Pressure Sand filters, Multi grade filters, Dual Media filters and Activated Carbon Filters. Unbelievable price on Water Filtration Plant in New Delhi (India) company Watco India, Private Limited.